Among registered voters, Kaine holds a 51 percent to 33 percent lead over Stewart. For likely voters, the numbers are similar: Kaine leads 52 percent to Stewart's 36 percent. WASHINGTON — Democratic Sen. Tim Kaine remains popular in Virginia, touting a double-digit lead over Republican challenger Corey Stewart, according to a new University of Mary Washington survey. Among registered voters, Sen. Kaine holds a 51 percent to 33 percent lead over Stewart. For likely voters, the numbers are similar: Kaine leads 52 percent to Stewart’s 36 percent. Libertarian candidate Matt Waters has 5 percent support among Virginians. Around 30 percent of those surveyed said President Donald Trump will be a key factor in how they vote come November. Of that 30 percent, 60 percent back Kaine. Stewart, on the other hand, has the support of 92 percent of respondents that said they voted for Trump. Of those who voted for Hillary Clinton, 93 percent said they’ll vote for Kaine. 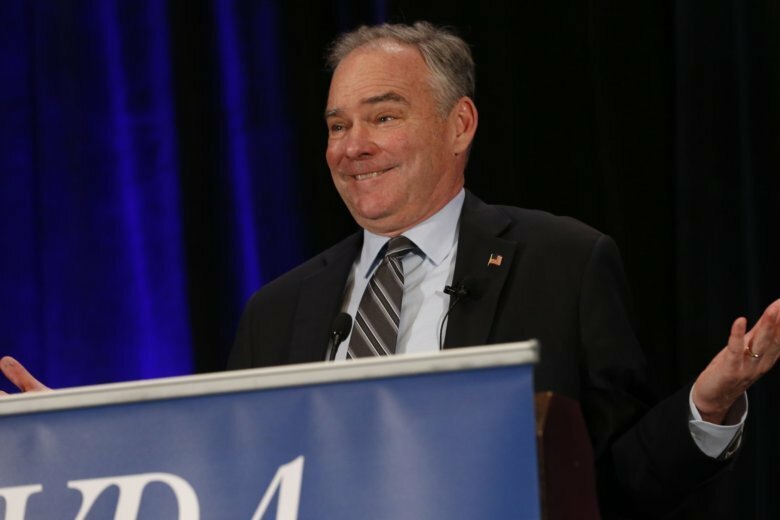 Among Democrats, 90 percent supported Kaine. Among Republicans, 73 percent support Stewart, with 15 percent of them favoring Kaine. The survey also shows an apparent gender gap among voters. Women favor Kaine by a 52 percent to 27 percent, while men favor Stewart 55 percent to 47 percent. Kaine and Stewart squared off in their first debate in July. The Sept. 4 – 9 survey was conducted by research firm SSRS for UMW. The statewide survey was conducted by phone with a representative sample of 801 Virginia adults age18 and over. More information can be found at the MWU website.